Samanids (819-999) were the first Persian dynasty to appear after the Arabs conquered the region in the 7th century. 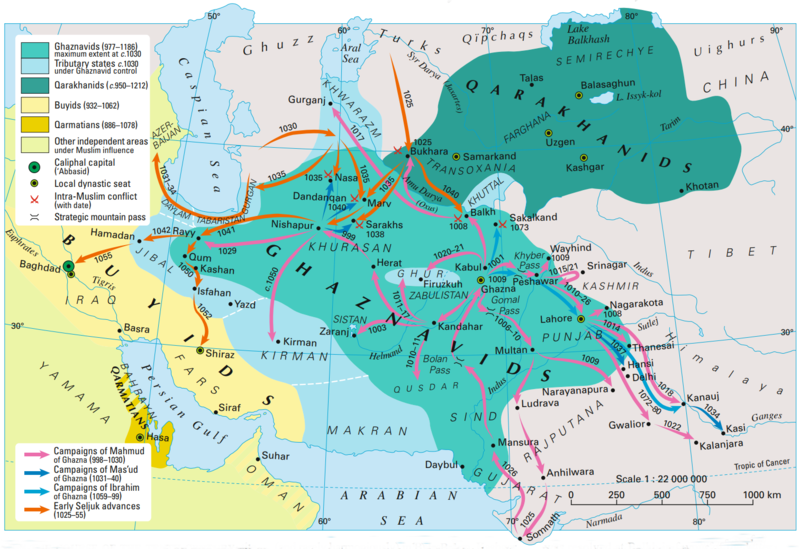 The Samanids were Persians; their successors, the Qarakhanids (992-1212) in Farghana and Transoxania, and the Ghaznavids (977-1186) in Khurasan, Zabulistan, and northwestern India, were Turks. Sabuktigin's son, Mahmud of Ghazni, declared independence from the Samanid Empire and expanded the Ghaznavid Empire to the Amu Darya, the Indus River and the Indian Ocean in the East and to Rey and Hamadanin the west. 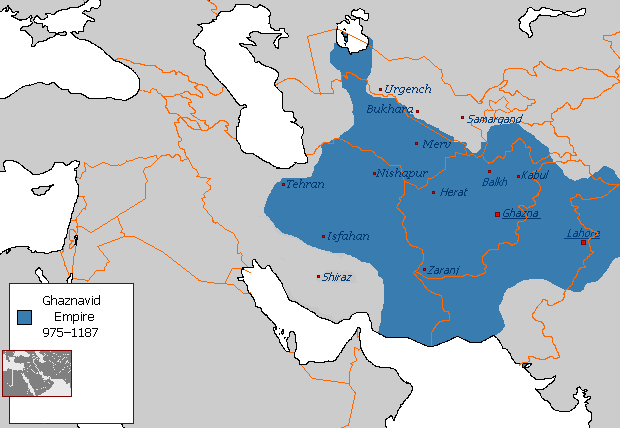 Under the reign of Mas'ud I, the Ghaznavid dynasty began losing control over its western territories to the Seljuq dynasty after the Battle of Dandanaqan, resulting in a restriction of its holdings to modern-day Afghanistan, Pakistan (Punjab and Balochistan). 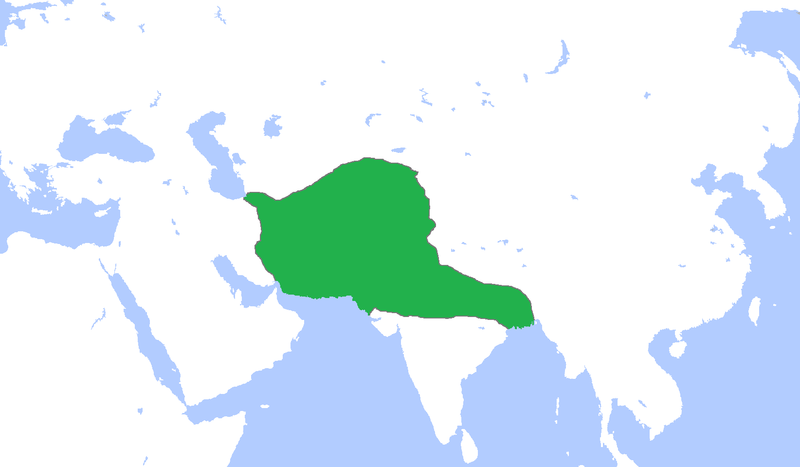 In 1151, Sultan Bahram Shah lost Ghazni to the Ghurid king Ala al-Din Husayn. Mahmud of Ghazni (2 November 971 – 30 April 1030) was the first independent ruler of the Ghaznavid dynasty, ruling from 998 to 1030. At the time of his death, his kingdom had been transformed into a extensive military empire, which extended from northwestern Iran proper to the Punjab in the Indian subcontinent, Khwarazm in Transoxiana, and Makran. The Seljuks occupied Khorasan and the cities of the area, encountering little resistance. Tughrul's successful siege of Isfahan in 1050-1051, led to the establishment of the "Great Seljuk Empire". On Mas'ud's retreat to India, he was overthrown and later murdered in prison. The Ghaznavids started out as a small sultanate in what is now Afghanistan in 977. They would go on to conquer much of Persia by 1030, before being pushed out by the Turkic Seljuks. In 1152, the Ghurid Sultanate was formed next to the Ghaznavids. They would conquer most of the Ghaznavids' territory by 1175 with the exception of the capital, which would fall in 1186. From here, the Ghurids would go on to conquer much of northern India. Despite collapsing in 1206, the Ghurids' empire would give rise to the Dehli Sultanate and centuries of Muslim rule in northern India. Nishapur, Samarkand, Herat, and the capital of Bukhara were major stations along the caravan route – the Silk Road. Coins found in Denmark and Sweden show that the Samanids’ trade routes reached all the way to northern Europe. Both Arab and Persian trends were found in art and culture under the Samanids. 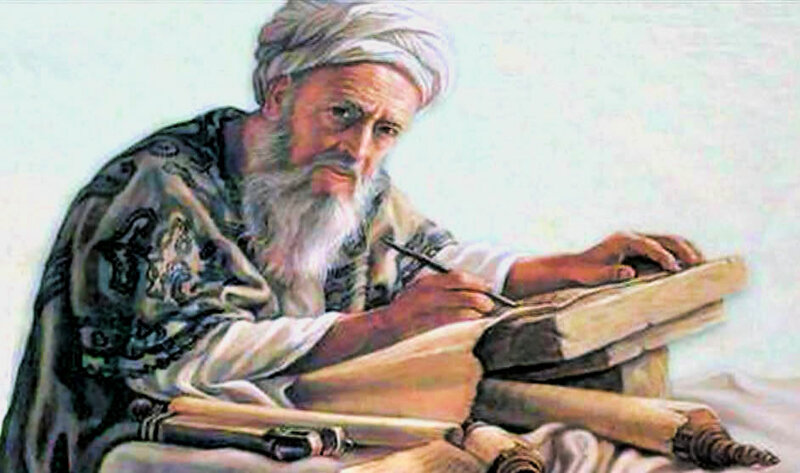 Arabic was the dominant language, the one used by scientific minds such as Ibn Sina (Avicenna, 980-1037). It was under the Samanids that Firdawsi began his splendid narrative of the Persian kings, the Shahnama. The Samanid Empire (Persian: سامانیان‎, Sāmāniyān), also known as the Samanian Empire, Samanid dynasty, Samanid Emirate, or simply Samanids, was a Sunni Iranian empire, ruling from 819 to 999. 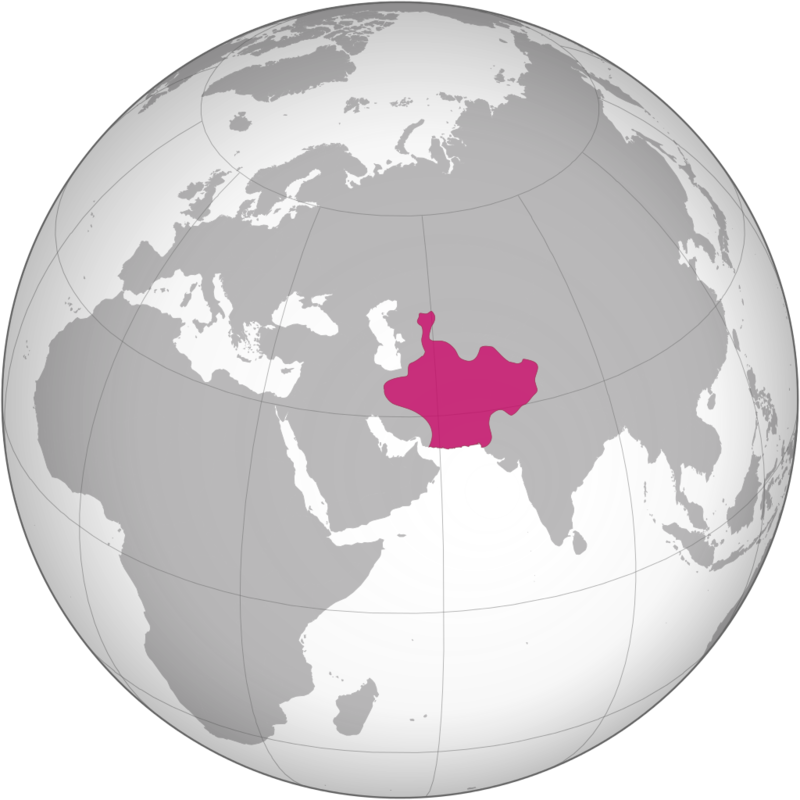 The empire was centered in Khorasan and Transoxiana during its existence; at its greatest extent, the empire encompassed all of today's Afghanistan, large parts of Iran, Tajikistan, Turkmenistan, Uzbekistan.Kyrgyzstan, and parts of Kazakhstan and Pakistan. The Samanid state was founded by four brothers; Nuh, Ahmad, Yahya, and Ilyas — each of them ruled their own territory under Abbasid suzerainty. In 892, Isma’il ibn Ahmad (892-907) united the Samanid state under one ruler, thus effectively putting an end to the feudal system used by the Samanids. It was also under him that the Samanids became independent of Abbasid authority. The Samanid Empire is part of the Iranian Intermezzo, which saw the creation of a Persianate culture and identity that brought Iranian speech and traditions into the fold of the Islamic world. This would lead to the formation of the Turko-Persian culture. The Samanids promoted the arts, giving rise to the advancement of science and literature, and thus attracted scholars such as Rudaki, Ferdowsi, and Avicenna. While under Samanid control, Bukhara was a rival to Baghdad in its glory. Scholars note that the Samanids revived Persian language and culture more than the Buyids and the Saffarids, while continuing to patronize Arabic for sciences as well as the religious studies. They considered themselves to be descendants of Sasanian Empire. In a famous edict, Samanid authorities declared that "here, in this region, the language is Persian, and the kings of this realm are Persian kings." 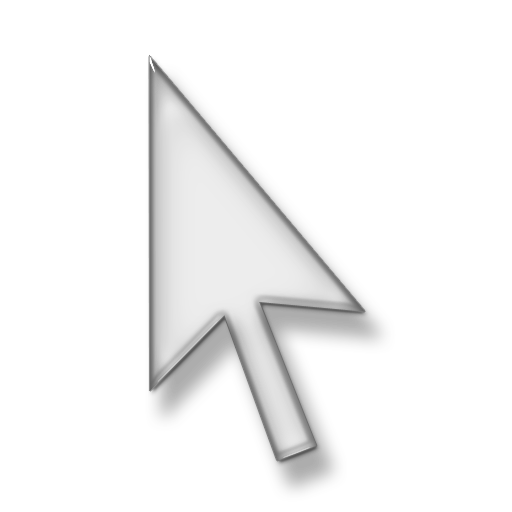 The Ghurids or Ghorids (Persian: سلسله غوریان‎; self-designation: شنسبانی, Shansabānī) were a dynasty of Iranian descent from the Ghor region of present-day central Afghanistan, but the exact ethnic origin is uncertain. The dynasty converted to Sunni Islam from Buddhism, after the conquest of Ghor by the Ghaznavid emperor Mahmud of Ghazni in 1011. Abu Ali ibn Muhammad (reigned 1011-1035) was the first Muslim king of the Ghurid dynasty to construct mosques and Islamic schools in Ghor. The dynasty overthrew the Ghaznavid Empire in 1186, when Sultan Mu'izz ad-Din Muhammad of Ghor conquered the last Ghaznavid capital of Lahore. At their zenith, the Ghurid empire encompassed Khorasan in the west and reached northern India as far as Bengal in the east. Their first capital was Firozkoh in Mandesh, Ghor, which was later replaced by Herat, and finally Ghazni. Lahore was used as an additional capital in the late Ghurid period, especially during winters. 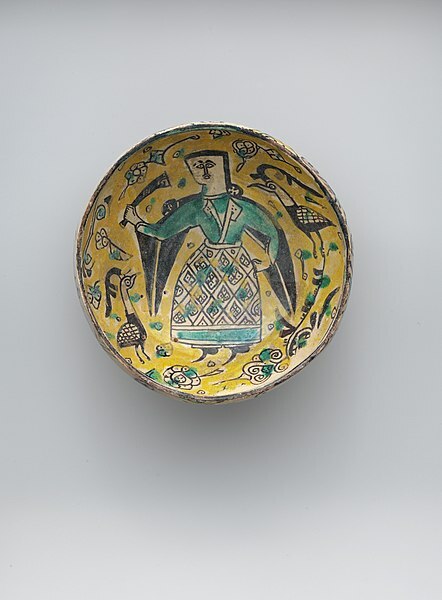 The Ghurids were patrons of Persian culture and heritage. The Ghurids were succeeded in Khorasan and Persia by the Khwarazmian dynasty, and in northern India by the Mamluk dynasty of the Delhi Sultanate.